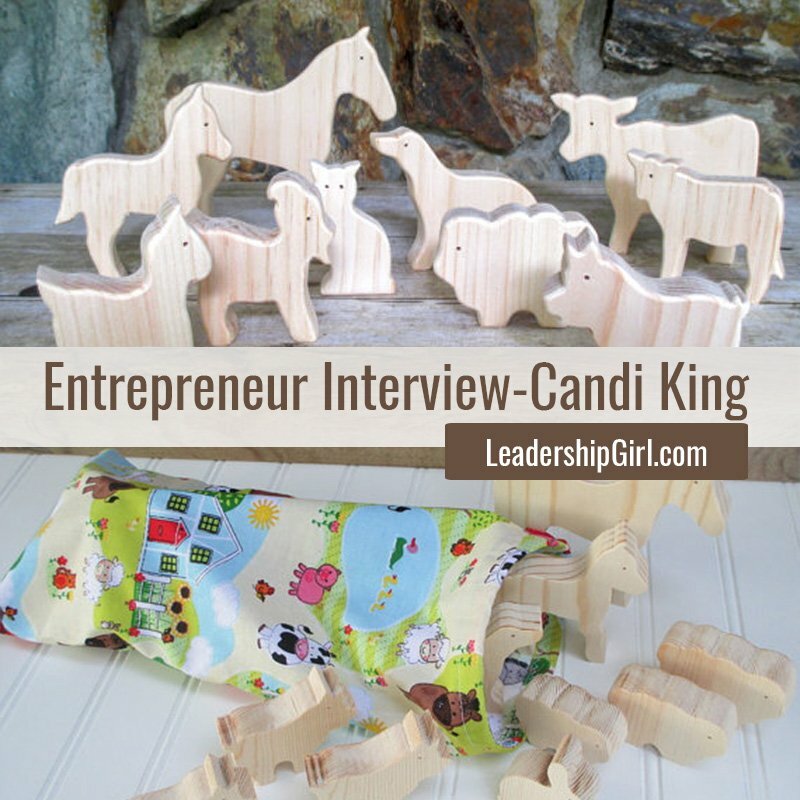 Entrepreneur Candi King is a mom of four children, ranging in age from 9 to 14. She has worked with wood extensively, and makes a variety of different wood items, including puzzles, doll houses, and barns. She also sews, and makes reusable cloth gift bags. What is your business/Business Name? What does your business do? I am co-owner of an ETSY shop called Wooden Ya Play. My mom and I make wooden toys and other crafts as well as eco-friendly reusable fabric gift bags. Why did you get into this field? What opportunities did you see? My parents started a home business around 1990 when Dad retired and they moved to Oregon. The original business was called Wooden Ya Know. They made wooden toys, crafts and furniture and sold out of their home and at local craft shows. Now the business is called Wooden Ya Play and I thought ETSY would be a great way to sell the puzzles and other small toys Mom makes. I wanted her to be able to continue doing the woodworking she loves even when going to craft shows gets to be too much for her. I also want to be able to make and sell crafts from North Carolina. What have been your biggest challenges? My biggest challenge is technology. Mom is great with the woodworking, but not so great with pictures or the computer. I knew I would be doing the online part, but I’ve been out of the computer field for so long now that I’m finding that I am also technologically challenged. What has been your greatest reward? I just started the business a couple of months ago, so I’m just proud that I was actually able to get products into my shop on ETSY. If you could change something, what would it be? If I could change something, it would be to increase (magically of course) my ability to promote Wooden Ya Play online. If you could give a new entrepreneur advice, what would it be? Don’t procrastinate, I’ve been thinking about doing this for about 2 years. I really could have done it much sooner, but I just didn’t get around to it until this fall. Social Media. Yay or Nay? This is my weakest link. I need to use Social Media to let people know about Wooden Ya Play on ETSY, but I only know how to facebook and even that I mostly just read friends posts. I don’t want to spend time on Social Media as it takes time away from the many things I should be doing, but I need to learn more about it to promote my shop. How do you market your products? I have learned how to create a shop in ETSY and to add items. 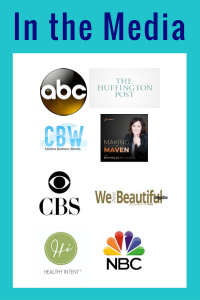 My next step is to learn to market my products. I hope to learn from friends who do use social media how to promote WoodenYaPlay, without overwhelming anyone with unwanted emails or endless pictures. Is your business a service or a product? If you are a product, how do you handle production? Mom and I produce wooden toys and crafts and I make fabric gift bags. We handle production in our shops in Oregon and North Carolina. That is one of the things I love about ETSY, you sell what you make, no need to make dozens of an item. Mass production takes the creative fun out of making wooden crafts and makes sewing backbreaking. What is unique about your business? Wooden Ya Play makes toys and crafts that are unique. Every puzzle, Welcome sign and bag are cut, sanded, painted or sewn by Mom and I. There are not too many 80 + year old women still out in a woodworking shop every day creating toys. Mom is really a fantastic role model for me and for my girls. Sell me your product/service. Wooden Ya Play can help you give fun, unique and creative gifts to many of the people on your list. We make toys, like fun or educational wooden puzzles or small wooden farm or zoo animals for children. “Welcome” signs with seasonal decorations that hang from them would be fun to give as gifts or to decorate for holidays and seasons throughout the year. Wrap them all up in my eco-friendly reusable fabric gift bags. New items are added frequently, so check back often to WoodenYaPlay on ETSY. Previous: Previous post: Are You a Believer?